Ready for a VIDEO contest?! 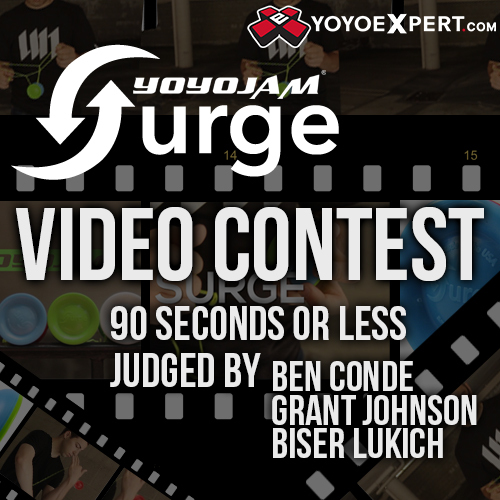 Pick up the new YoYoJam SURGE at YoYoExpert, make a video, and you could win $300 CASH, a $100 YoYoExpert Gift Certificate, or other runner up prizes! New Ben Conde Around The World Yo-Yo & T-Shirt!